A paint-on, shiny hoof preparation available in black or clear which dries and stays shiny in adverse conditions when applied to clean dry hooves. Hoof Paint from the Supreme Product Professional Collection is water based and is not a varnish. It does not seal the hooves and does not require chemical removal. The bottle comes with an integral applicator. To apply, squeeze out excess hoof paint from the applicator to stop drips, then start painting at the coronet band on clean dry hooves, working downwards. This product does not require removal, however if you wish to do so, this can be removed with warm soapy water and a nail brush. 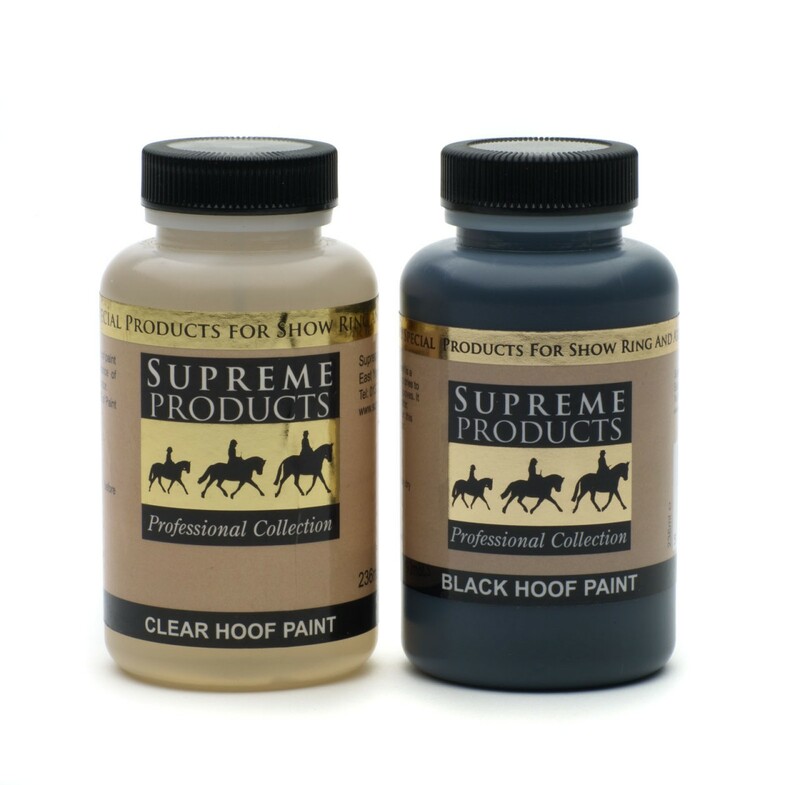 There are currently no questions for Supreme Products Hoof Paint for Horses - be the first to ask one!